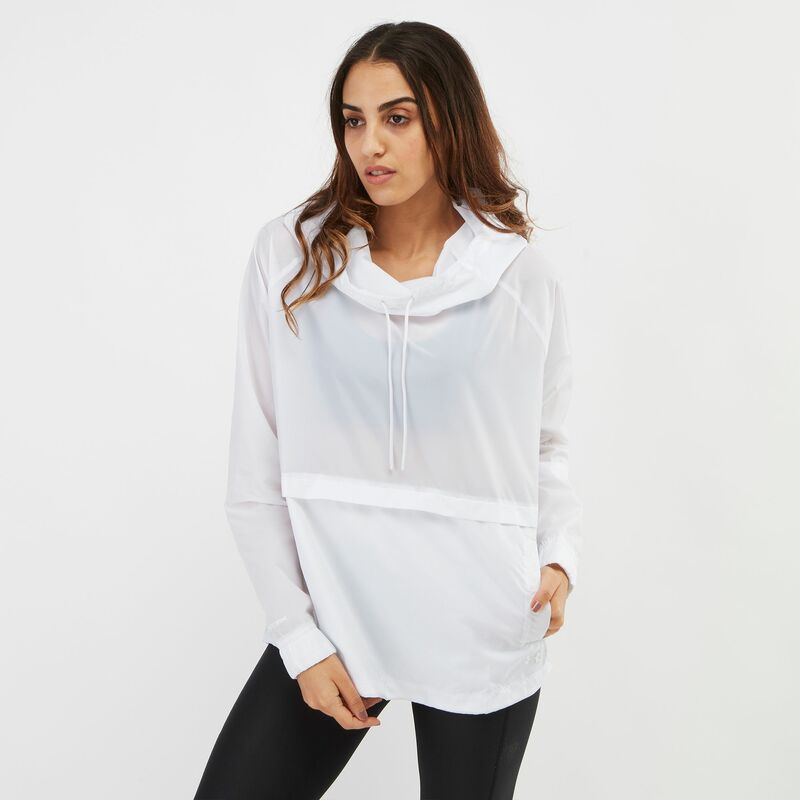 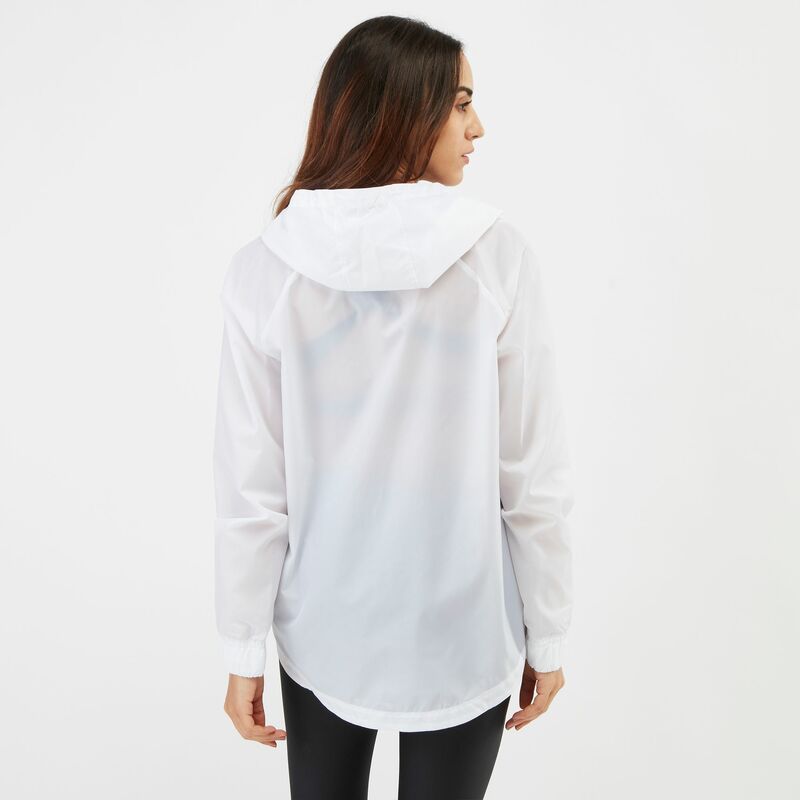 For weather protection, here’s the Under Armour Iridescent Woven Hoodie for women. 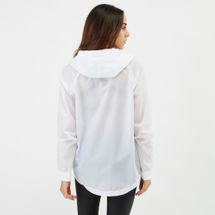 This lightweight jacket repels water thanks to the UA Storm technology. 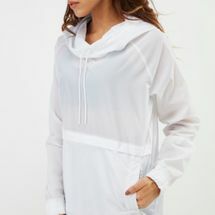 It features an adjustable hood, elastic cuffs and an iridescent finish.